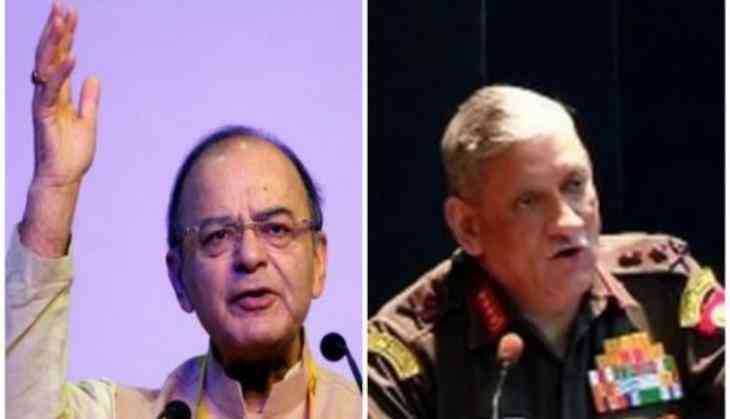 Defence Minister Arun Jaitley and Army Chief Gen Bipin Rawat will on Wednesday review the security situation and take stock of counter-terror operations in the Valley, which has been rocked with soaring turbulence recently besides the steady stream of ceasefire violations. Jaitley is visiting Srinagar today and the Army Chief is already in the valley. The visit comes in the wake of beheading of two Indian soldiers by Pakistani Army in Poonch district earlier this month which was termed "barbaric" by India. The spree in infiltration attempts, ceasefire violation, cross-border shelling along with the Valley's internal crisis has turned into a major crisis for the state government as well as the Centre. Jaitley who also holds the finance portfolio will be in Srinagar primarily for the two-day meeting of the GST Council starting from tomorrow.